Royal Skateboards x Lakai Belmont "Navy/Denim"
Lakai has here joined forces with Royal Skateboards for a nice warm weather option of the Belmont. 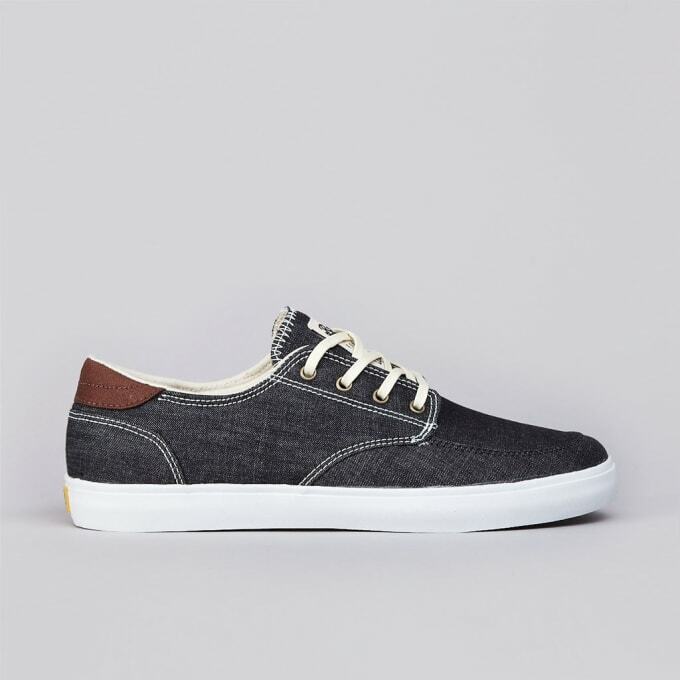 The casual kicks note a denim upper, complemented with a brown patch at the heel. Off-white laces accompany the low-tops, matching the tongue tag accordingly. Royal and Lakai branding can then be seen on the tongue as well as heel, as you can purchase the new collaboration now through select accounts such as the UK&apos;s Flatspot.